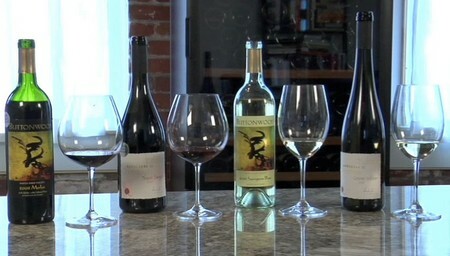 There is only one hard and fast rule that should govern all your wine consumption: Drink what you like. Don’t worry about “red wine with meat, white with fish (or white meat)” and all the snooty sommeliers who snort with disdain when you order otherwise. Sure, there are plenty of guidelines to help you pair wines with food, but the ultimate arbiter is your own personal preference. Unfortunately, figuring out what you like may be more difficult than you’d think. The good news is that doing so requires lots and lots of drinking. So, let’s get started. There’s a very useful irony in the world of wine: To look like you’ve got all the answers, ask a lot of questions. Since the universe of wine knowledge is infinite, everyone is pretty much in the same boat. Asking questions is not the mark of ignorance, but of the inquiring mind of an emerging connoisseur. And the simplest and most effective question of all is, “What would you recommend?” Whether you’re at the liquor store on the comer or the fancy French restaurant downtown, tell them what’s for dinner and ask for suggestions. It also helps to give a price range. If you’re not sure about price, just tell them you want a good value. They’ll suggest wines from a few different price ranges, and you can decide. Then, the next time you’re in that situation, just mention the previous wine, tell them whether you liked it or not, and ask for more help. Before you know it, you’ll be a big fan of Spanish reds, or you’ll hate Chardonnays. Whatever, it’s all up to you. And the more you know, the more you’ll want to know, and the easier it will become” to keep learning. 1. Go to wine tasting at vineyards, try many different wines, and ask lots of questions. 2. Go to restaurants that offer tasting menus that match wines with food. Pay attention to how the wines complement the food. 3. Ask your friends to recommend wines they like.